Haslemere Community Rugby Club is a growing club with a broad range of players, age groups and playing activities. Our age groups range from Micros, Minis and Juniors, through to Colts and Seniors. 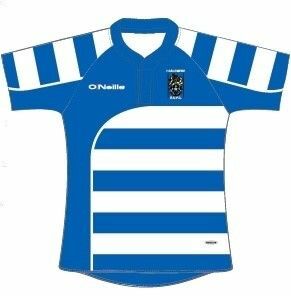 Currently, Haslemere Seniors has sufficient players for around one-and-a-half teams, however, one of the strategic aims to be able field two teams consistently and remain competitive in the Surrey League divisions as part of the RFU National League structure. A position (or positions) has arisen to be part of the Senior Coaching Team at Haslemere, due to our previous coach Charlie Matthews signing for Wasps. Primarily, there's an opportunity for a Senior Coach or Director of Rugby, Seniors. 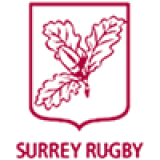 This is very much a hands-on role, with emphasis on developing a growing squad, building on Surrey League aims, creating a 'Haslemere Brand' of rugby by implementing an effective "play book" and collaborating with others on initiatives to develop Senior rugby; a great role for any coach looking to gain or put into practice their RFU Level 3 Coaching Certification. Additionally, there are already a handful of part time and player coaches signed up to assist with Senior coaching, but we're also keen to hear from other Coaches who wish to be part of the Coaching Team at Haslemere. Ideally, the overall Senior Coaching Team would be involved in shaping the player pathway aligned with Haslemere's "One Club" philosophy. This aims, with growing success, to see graduates of our thriving Mini and Junior rugby squads flow through into Colts and Senior sides, keeping the Haslemere "rugby family" strong and reinforcing our enjoyment of the game. Whilst there is no remuneration from the Club associated with these roles, there is budget to develop Senior rugby through initiaitves to deliver the most benefit and desired outcomes for players, coaches and the Club; for example investing in fitness and conditioning sessions, away days, kit or anything else that would create the right environment for success. Applications are invited by emailing a covering letter and CV to dor@haslemererugby.co.uk, with a closing date of 30th June 2018 and interviews taking place early July'18 to ensure a smooth and successful pre-season lift-off.